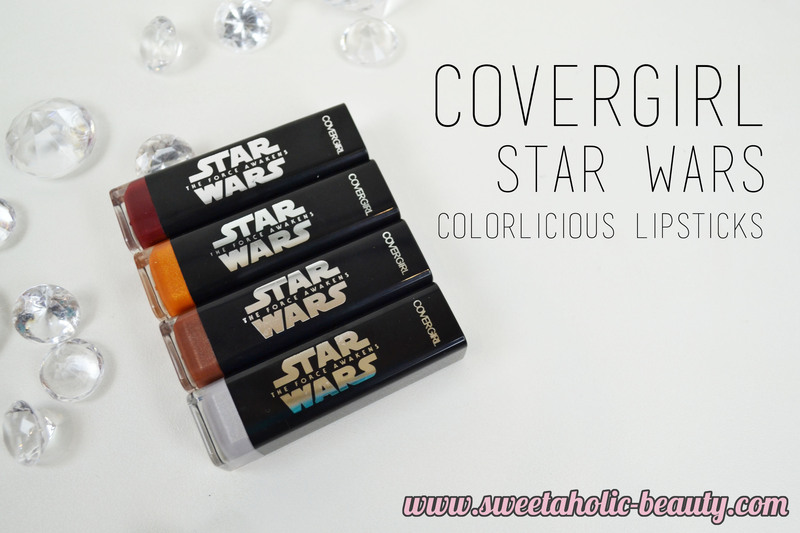 The giant nerd in me was incredibly excited when I heard that Covergirl was releasing a Star Wars collection and I knew that I had to grab at least a few bits and pieces. 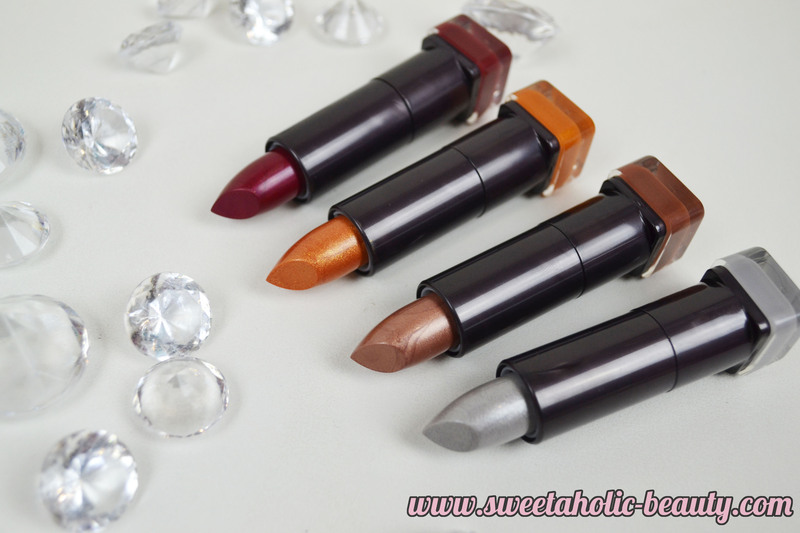 I decided to grab the four Colorlicious lipsticks as I'm a little bit addicted to lip products. There are four shades available in the collection. I was super disappointed to find that the lipsticks did not have names, however when I looked up the collection online, they actually do but they just aren't printed on the actual tubes which I found strange. I actually like the packaging of this collection. I was expecting the packaging to look tacky, but I think it's done pretty well. I was not at all surprised to find that the shades were very space themed. I've heard a few complaints about the colours not being very wearable, and at first glance I can see how people would think this, but when you actually put them on your lips you may be pleasantly surprised. 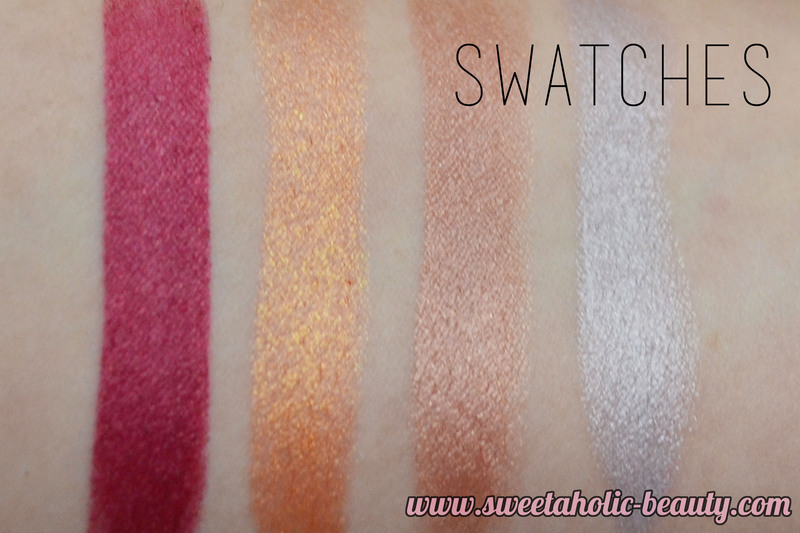 The moment I swatched these, I fell in love. The deep red of Dark Apprentice is probably the stand out shade for most people, as it's the more wearable shade. However the three chrome shades remind me of something futuristic and exotic, whilst not feeling cheap. Don't mind my Dark Apprentice swatch - it's a tad messy, sorry. 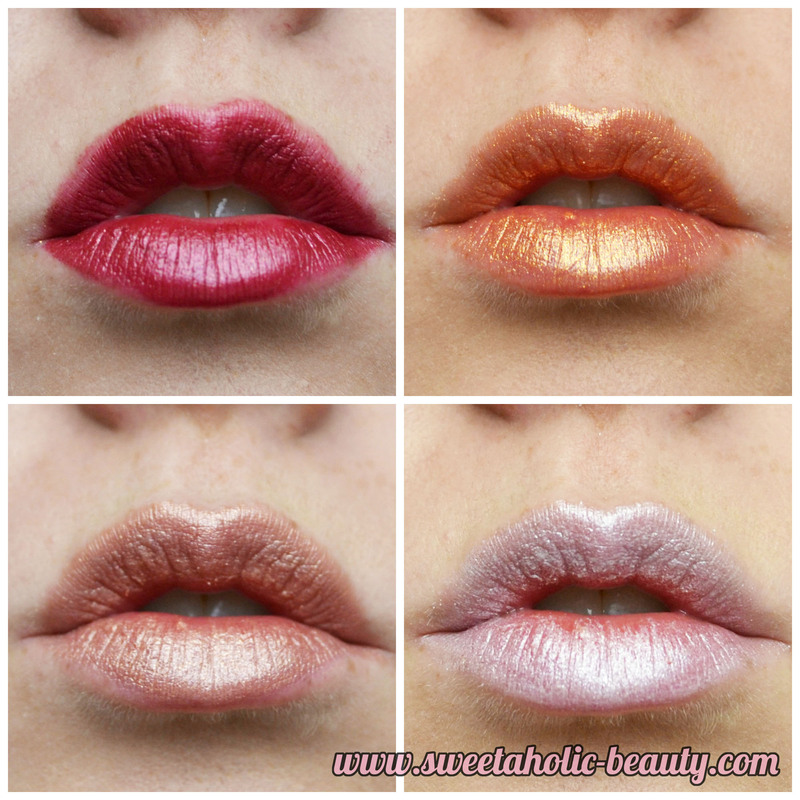 I was super impressed with how the other three shades came across on the lips. I found Droid and Jedi to be incredibly wearable. Jedi is my new favourite lip shade. I think that Chrome Captain would be a lovely shade to apply over other shades. I'm really excited about this collection. I adore all the shades, and I really want to grab the mascara now too. I'm really loving that Covergirl made the effort to create shades that really do embody the collection. I would have loved to see more products such as eyeshadow and blush, though. Overall, I stunning collection of lipsticks. 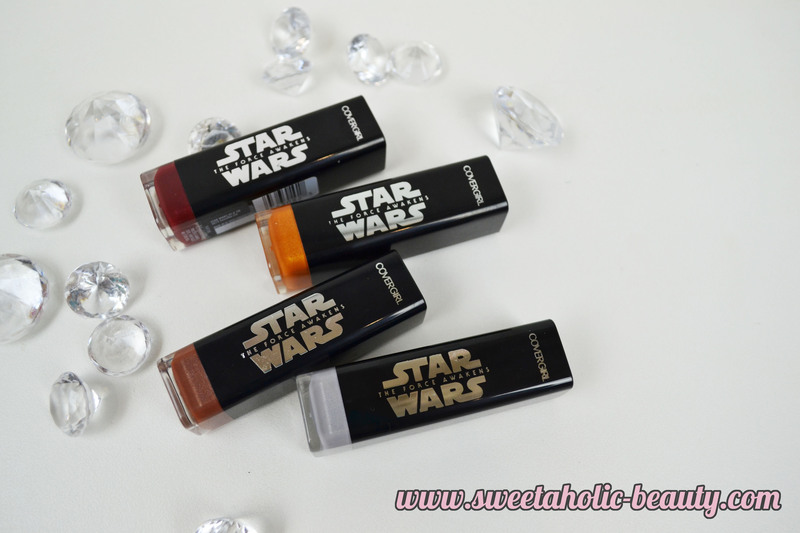 Have you tried the Covergirl Star Wars Colorlicious Lipsticks? If so, what are your thoughts? Well these are a bit exciting! I'm loving Dark Apprentice, Droid and Jedi. I'll definitely be seeking these out (from a fellow nerd lol). As a massive star wars fan... I feel like I need to get my hands on these regardless of whether I'd wear them or not!! My fav from the lot is Droid! I do feel that since disney has taken over star wars they are becoming more of a "sell out", I remember when star wars merchandise were quite exclusive, but no complaints on easy access to their merch. even though I'm sceptical about Disney making the new movie... I am still quite excited and will definitely see their new release! What a serious cute collection! I'm tempted to get Dark Apprentice. Really nice shades *-* I love all of them!